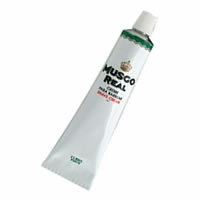 Musgo Real Soap on a Rope was developed for the aristocracy in the late 1880's. 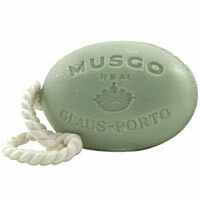 The Claus Porto Soap Company continues to produce these soaps in a hand made manner and each is hand stamped in Portugal as it has since 1887. The high content of coconut oil in the Musgo Real Soap-on-a-Rope makes them especially mild and creamy cleansers for the whole body, while the classic lime scent will leave you refreshed and invigorated.